Our Junior Suites are 38 meters square, not including bathroom. All rooms are garden facing /partial sea views. 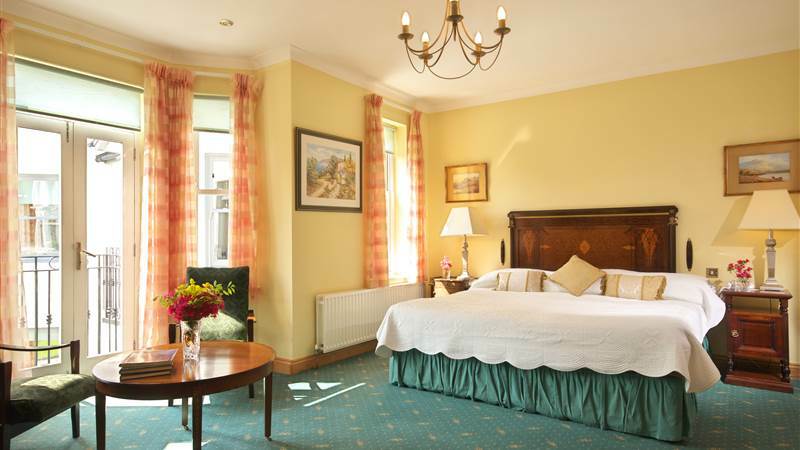 Facilities include 1 King size bed or Large Twin -beds. Bathroom with underfloor heating, robe & slippers, luxury VOYA toiletries, Hair-dryer, 19" TV, International channels, Direct Dial Telephone, USP point, Sitting Room area surrounded by lavish antiques. Tea and Coffee making facilities on request.